Russell Staff have passion in what they do. Whether working in the brewery, delivering product or selling beer, each staff member helps make our beer exceptional. As one of the fastest growing breweries in Canada, we are always looking for great people to join the team. If you are interested in applying for employment opportunities at Russell, please complete the form below and be sure to include a copy of your resume. We will personally contact those candidates selected for an interview. Russell Brewing is looking for a passionate, driven, and detail-oriented individual to join our team. Reporting to the Corporate Controller, the Administrative Assistant is responsible for supporting our daily office administrative functions.  Russell Brewing is looking for a passionate, driven, and detail-oriented individual to join our Accounting team. Reporting to CFO, the Accounting Clerk is responsible for supporting our daily accounting functions. Accounts Payable activities including receive and verify invoices, shipping documents,and purchase orders, post invoices and issue cheque payments etc. Post-Secondary education in accounting required. Simply Accounting, AP/AR experienceTo Apply:If this opportunity sounds like you, we are looking forward to hearing from you! Please submit your resume and cover letter No phone calls please. We thank you in advance for your interest in Russell, only selected candidates will be contacted.